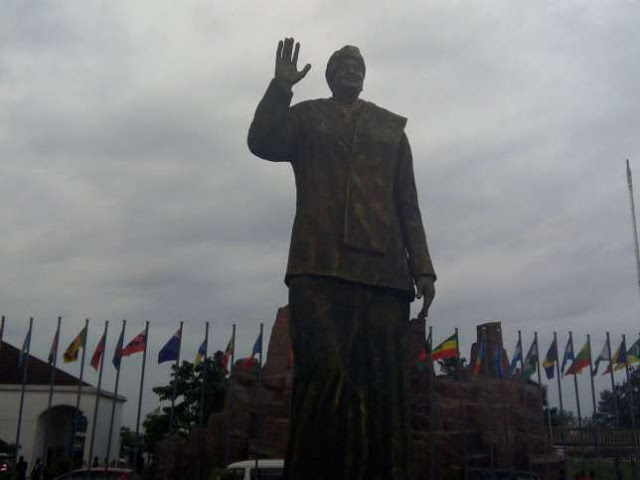 Imo State Governor, Rochas Okorocha, Friday, unveiled a statue for Liberian president, Ellen Johnson-Sirleaf, in Owerri, which many have described as a misplacement of priority. The statue was unveiled at Ikemba Ojukwu Square in Owerri, the state capital, next to the N520 million bronze-cast monument of South African president, Jacob Zuma, that earned Okorocha public condemnation when it was unveiled in October. 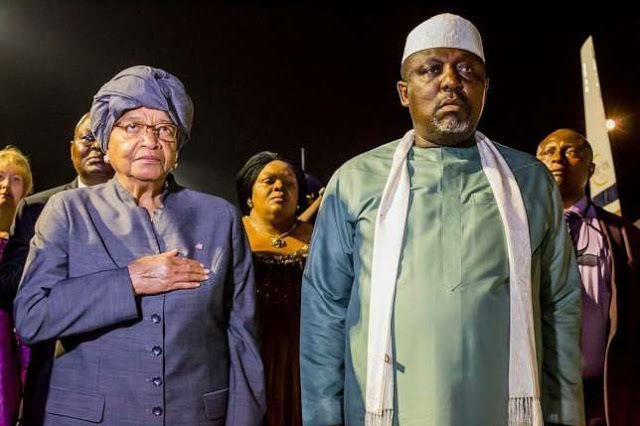 The Liberian president arrived in Owerri on Thursday, November 9, on a two-day working visit and was at the governor's Rochas Foundation College of Africa early on Friday. She had high praise for the governor's foundation, remarking that it was the best she's ever seen in all her travels. She said, "I have travelled to every part of the world and I have travelled all over Africa, I have never experienced something like this. I have seen leaders of Africa build schools, roads, give scholarships, and so on, in all of these things. "I have not seen any of them go beyond the ordinary by gathering indigent children of Africa from all of our countries, bring them together in our family, sharing together, I thank you. There is no other better way to fight poverty and preach unity than this." Africa's first elected female head of state was also honoured with the chieftaincy title of Ada di Ohanma of Igboland at Eze Imo's palace led by Chairman of the State Council of Traditional Rulers, Eze Samuel Ohiri.